The iDialog range is the ideal solution for the protection of PCs and peripherals in the home and in office environments. 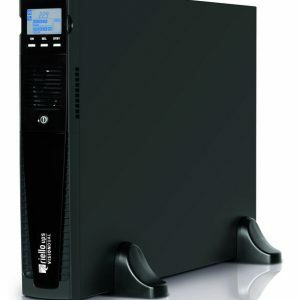 iDG1200 – an ideal ups to protect important equipment in your household or home office. Available direct from The Hampshire UPS Co – The iDialog iDG1200 is the ideal solution for household, and small home office systems; plug it in and you are protected. It can be used for PC’s, printers, home gaming systems etc. Low dimensions: with its compact shape, iDialog can be placed on any part of a desk or anywhere in the home. PDU functionality with battery backup: 4 IEC sockets with UPS protection and 2 overvoltage protection sockets. The iDialog iDG1200 is ideal for keeping your cordless phone working during a power cut – keeping you in touch and contactable in an emergency. 4 Battery runtime protected sockets with an additional 2 overvoltage / surge protection sockets.